Happy Easter from Monkey Cove Island: one of Second Lifes most famous surfing spots with lots of different waves on eight sims. The Easter Bunnies will spread eggs on five of those. A detailed hunting card will be published shortly before the hunt. The hunt will start on sunday, 24th of april, 1:00 PM SLT. 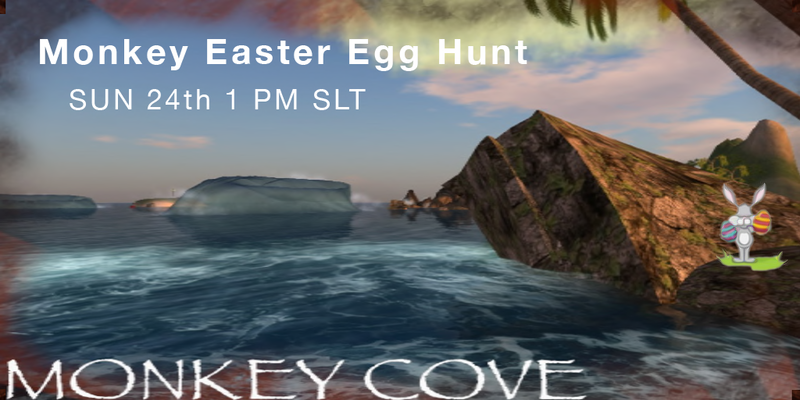 People putting hand on any (easter) eggs before 1 PM SLT are automatically disqualified! Have fun and don't forget to live, love and surf!